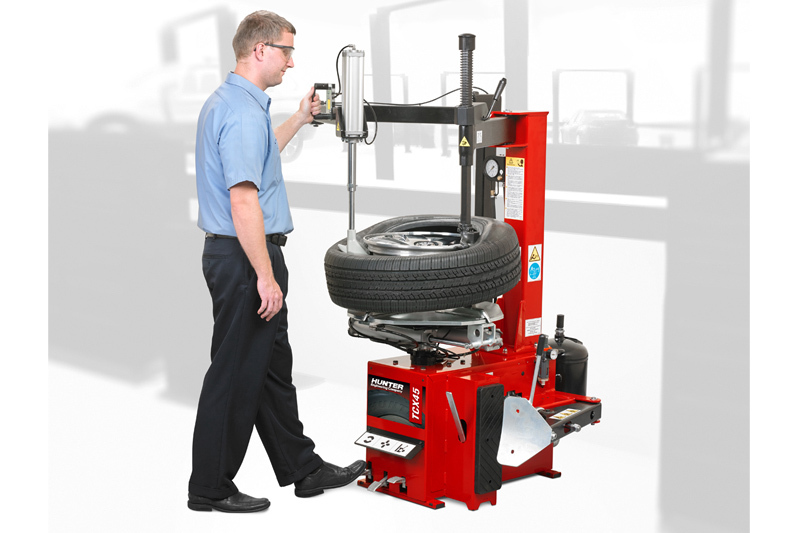 Tyre changers range from Pro-Align. The first product in the Pro-Align Essentials Range is the Hunter TCX45, a no-fuss, traditional swing arm column tyre changer. It features a manual position swing arm column, bi-directional turntable, side shovel and bead press system, which are all operated via the user- friendly foot pedals. In addition, for those workshops looking for a traditional tilt column tyre changer, the Hunter TCX52 is a possible solution. Featuring an air powered tilt column, bi-directional turntable, side shovel and bead press system, the TCX52 is also operated via a foot-pedal system.